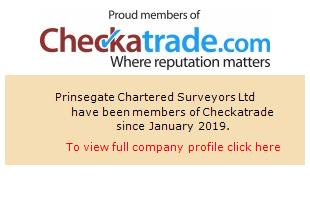 Prinsegate are a Chartered Building Consultancy with years of experience of providing Party Wall surveys in and around Kingston upon Thames. Our experience has led us to become one of the leading party wall surveyors Kingston residents choose to manage their projects and handle any disputes. Our Kingston surveyors will complete a complete service. Our team of Kingston Party Wall chartered surveyors are specialists with years of experience. We can help if you are planning building works and need Party Wall advice or a quote. Equally, if you have received a Party Wall Notice or a Party Structure Notice, with your neighbour completing building works in Kingston, contact us for advice. Why do I need a Party Wall Surveyor? When you decide to have work done to or near to the wall shared by your neighbour, you have a legal duty to serve a Party Wall Notice to all affected neighbours. An official agreement must be in place between the owner and adjoining owner for work to commence. If an adjoining owner does not consent to the proposed works within 14 days of receiving notice, under the Party Wall etc. Act 1996, the parties will be deemed “in dispute”. At this point, both building owners and adjoining owners will need to appoint a surveyor for an agreement to be settled. What exactly is a Party Wall? A party wall is a wall that divides the properties of neighbours. The ownership of that wall is shared between them. What does the Party Wall Act cover? The Party Wall Act covers any building work that may affect someone else’s property, even if it doesn’t involve a party wall. This includes cutting out pockets to insert beams, cutting away chimney breasts, underpinning, raising walls close to the property boundary or even just excavating within 6 metres of a neighbouring structure. These works are often carried out in renovations, loft conversions, basement conversions and extensions. If you or a neighbour have construction works planned, what must you do? A neighbour undertaking the works covered by the Act has a legal duty to serve proper notice to all affected neighbours. Failing to do so can result in a complicated claim for damages or a court injunction, which can be very expensive. What can a neighbour do once receiving a notice? Upon receipt of a Notice, an affected neighbour has 2 options: consent to the works, meaning that they simply progress, or dissent, meaning that an independent surveyor must be appointed to resolve any dispute. Neighbours can each appoint their own surveyor or agree to one. Our Kingston surveyor will check all the information relating to the building work to minimise risk for all neighbours. Then, an Award is drafted. This is a legally binding agreement and it will usually include a record of the affected neighbour’s property. Why should you choose our Kingston Chartered Surveyors for your Party Wall service? We are regulated by the RICS, and are members of several other bodies, and will take care of all the procedural work for you with our chartered surveyors. Call us or leave a message today to talk to one of our excellent Kingston party wall surveyors.